Different folks have different strokes. This also holds true when experimenting with the various warm-up exercises and stretching techniques. Is stretching a worthwhile activity before engaging in any sport? What is the best warm-up method for our bodies before strenuous activity? Our body compositions vary in size, weight, shape, height, movement, flexibility, posture and susceptibility to accidents or injuries. With these factors taken into account, should we all have a similar stretching regimen? Although stretching is often seen to have limited health benefits, it is an essential part of a structured warm-up routine. It also helps with maintaining muscular flexibility. Preparing the body for more intense activity should be sport-specific and dependent on the athlete’s needs. It is highly recommended that you warm up your body before doing any physical task. Warming up for about 5 to 10 minutes is required to prepare the body physically and you mentally to function efficiently and prevent potential injuries. Warming up can consist of light-aerobic and cardiovascular exercises. As you warm up, you are literally increasing the temperature both of your body and muscles. Also, your heart rate and breathing intervals are also increased. This helps in boosting the delivery of nutrients and oxygen to the nerves and muscles. Warming up as a simple regimen prepares you physically for a demanding workout. There are several types of warm-ups to choose from before an intense physical exercise. A warm-up activity is something that you do in a slower pace before starting the actual intense exercise. For example, if you’re about to go for a 100m track and field race, a light jog can be an effective warm up. If you will be doing a regular swimming training, do a couple of slow laps to warm up. In every sport, you have to focus on the muscles that will be heavily used for that particular activity. Strengthening your muscle areas provides better flexibility and performance. We spoke with some of the exercise physiologists at Livewell Rehab to get their advice on the best ways to warm up. Stretching should always be the first task before doing a workout. Some recent researchers have questioned the benefits of stretching before physical activity, saying traditional or “static” stretching leads to reduced muscle strength and performance. So it is now recommended to perform dynamic stretches or movements followed by some light static stretching. In general, stretching is a beneficial activity after you have properly warmed up. Static stretching or a stretch being held for a short period is more likely to damage a muscle. Overstretching if carried out incorrectly can also damage your muscles and joints. To stay injury-free, employ dynamic stretching or functional range of motion to achieve better flexibility. Every athlete should find out what warm ups work best for them. Not all athletes have to stretch the same way. A well-planned individual warm up is set to improve performance and minimize potential injury. Stretching stimulates flexibility, joint range and motion and blood distribution to the muscles. When done correctly, this certainly provides benefits to the body. Similar to any daily activity, stretching should not be overdone. If you feel pain, stop if it hurts. Stretching should be an enjoyable and a light routine. If in your stretch you feel pain, try to relax until it feels comfortable as you hold the stretch. Hold each stretch for about 10 to 30 seconds. Less time won’t be able to lengthen the tendon. A longer stretch may have a negative effects on performance. Slowly stretch the muscles but don’t force it. Avoid bobbing or bouncing while stretching. In the long run, this may damage the muscles and cause scar tissue tightening the muscles. This can affect flexibility. Breathe properly as you work out, especially when stretching. Stretch both sides of your body evenly. Even if you are right-handed and use one side of your body more than the other for your particular sport i.e. tennis, you still should stretch both sides exactly the same. When playing any sport, do warm-ups, including stretching, that will prepare the muscles with the sport. Sports-specific stretches are necessary to help you move lightly and freely without straining your muscles. When playing baseball, focus on your shoulder muscles for throwing and forearm for batting. When swimming, do some round movements or simple shakes for your arms and legs. Stretch regularly to maintain flexibility. A warm-up routine with simple stretching techniques should be sport-specific. It usually consists of activities or patterns similar to the sport or activity you are about to do but less intense. For example, you are running on a treadmill there is only one movement plane. If you will take part in rugby or basketball, these are multidirectional sports which require extensive warm ups in all directions. Warm-up duration regimen varies. For a 10-kilometer run, you can warm-up for 5 to 6 minutes long. 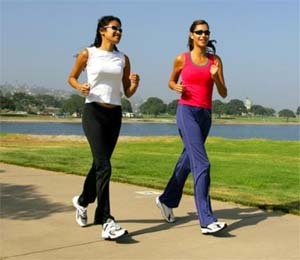 Some runners even jog slowly without stretching. For those trekking a hill, you will need a more extensive warm-up. Several considerations have to be established to identify what routine will work best for you. The frequency and stretching type within a warm-up vary from person to person. Previous injury profiles have to be checked. The kind of work you do is also a consideration on how you should warm up. If you are seated all day hunched over a desk, you definitely need an extended warm-up and stretching to loosen any stiffness from the lack of movement in your lower back. If you are a manual worker who moves around all the time, your warm-up may be shorter and more dynamic. When recovering from an injury, you may need specific stretching to prevent formation of scar tissue and assist you in regaining normal function and strength of the impaired muscle or joint. After an extensive workout, you have to gradually slow down your body to recover. This may vary depending on the intensity of your routine. It can be a combination of light aerobic activity and stretching. If you’re running at a fast pace, slow down by walking steadily to cool down. Cooling down and stretching after each workout help to normalize your heart rate, breathe at regular intervals, prevent any stiffness and muscle soreness, reduce any dizziness and headaches and relax the muscles. If you are a newbie to working out or a professional, seasoned athlete, having a good routine warm up and stretching before and after your workout will help you avoid injuries and improve your long term performance.